Happy Wednesday, FCC! I am sermon writing today, and so if you are able, please pray for me. Also, please pray for our worship gathering this Sunday. Pray that God is glorified in us as we gather. Pray that God softens our hearts and changes us into the image of Jesus. Pray for our worship leaders and musicians as they practice all week to lead us with skill. Today, I'm returning to the discipleship pyramid. 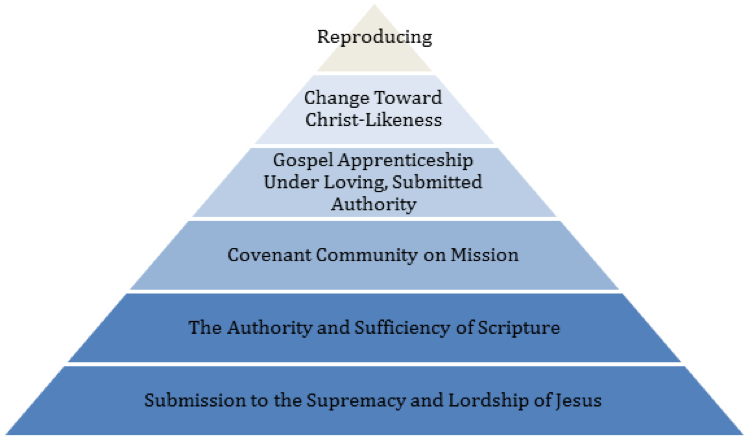 In previous UpDates, I described the foundation of discipleship (Submitting to the Supremacy of Jesus) and the authority for discipleship (The Authority and Sufficiency of Scripture). Today, I want to look at the context for discipleship. What is the context in which disciples are made? A covenant community on mission. Jesus called his disciples into his mission, and discipled them for mission. Jesus' mission, and a commitment to walk with one another in covenant, is necessary for discipleship to take place. This is one of the reasons why church membership is important (see below on how to become a covenant member of FCC). A loving covenant community on mission is the context for disciple-making inside and outside of the church. There is no exception to this rule in the New Testament. Even God exists eternally within a covenant community on mission (Father, Son and Spirit), and this is reflected in all that he is and has done. The primary biblical model that God has given us for a Covenant Community on Mission is the family. God desires families to be bound to one another by the deep ties of love, mutual commitment and covenantal unity. Families are intended to provide accountability, authority, protection, wisdom, love and opportunity for growth. Families are meant to develop all of its members to maturity and produce new families. This is exactly the model for the church that we see laid out in the New Testament. One of Paul’s primary tasks was to establish believers in covenant communities that nurtured deep ties of love, mutual commitment and unity. Paul’s churches provided accountability, authority, protection, wisdom, love, and opportunity for growth. In our gathered worship, the practice of the ordinances, small group and one-on-one apprenticeship in Missional Communities and in developing healthy families, the church reflects the image and character of God. The unity of the church in the midst of its mission is a manifestation of God’s wisdom and presence among us (John 17:20-21; Eph. 3:9-10, 4:13). Many of our churches today are too often organized like a social club (which lacks a strong and enduring commitment) or a service provider (where participation is passive and product-driven). In this type of community, Christians often fail to grow and fail to understand why Christianity isn’t “working.” We must recover the biblical vision of the church as a Covenant Community on Mission if we are to realize Christ’s vision for the church and discipleship. For all that I have heard from my Father I have made known to you. This is an amazing verse to me. The God of the universe made us for friendship and restores us to friendship. That is remarkable to me. One reason is that it reminds me it is important to pay attention to my heart’s desire for friendship. It is important because this desire is made by God, and it is made for God. God has made me for friendship with him. God has made you for friendship with him. That friendship comes through Jesus, who is God of very God, who has come to reveal the Father to us. The friendship also comes through Jesus' closest friends, the disciples, whom Jesus taught first hand who God is and what he is doing in Jesus. We become friends with God by learning from Jesus' closest friends, who Jesus really is. Another reason this is remarkable, is that it shows the importance I should place on being a good friend to others. We are not made to live isolated lives. We not only need family, but we also need to become true friends with others. I have a long way to grow in being a true and good friend, but I know where to start. It starts with learning what God has done to bring me back into friendship with himself. Some people are calling loneliness an epidemic. Those words seem a bit exaggerated to me, but I haven't read all the research. What is clear, though, is that loneliness is a problem. We live in a time where we are more connected virtually than we are in real time. It is a great and important time in which to learn from Proverbs on how to be a True Friend. This Sunday we will be learning from Scripture about how friendships are created and cultivated. “From Pride to Humility.” is available to purchase for $5. I can't recommend it enough. I highly recommend you pick it up, and work through it with a mentor or discipler. At FCC, our mission is to make more and better disciples, and we want to follow Jesus’ example. We want to make disciples who make disciples. We offer As We Go discipleship workshops, such as the one planned for June 3, as one way to help equip FCC for discipleship. There’s no cost for the workshop, and no need to register. Discipleship comes about as a result of the Holy Spirit transforming individuals and families at the heart level. Jesus transforms people into his image by changing the desires of their hearts and giving them new purpose and vision. As seen in Scripture, Jesus often discipled people by asking them really good heart level questions. 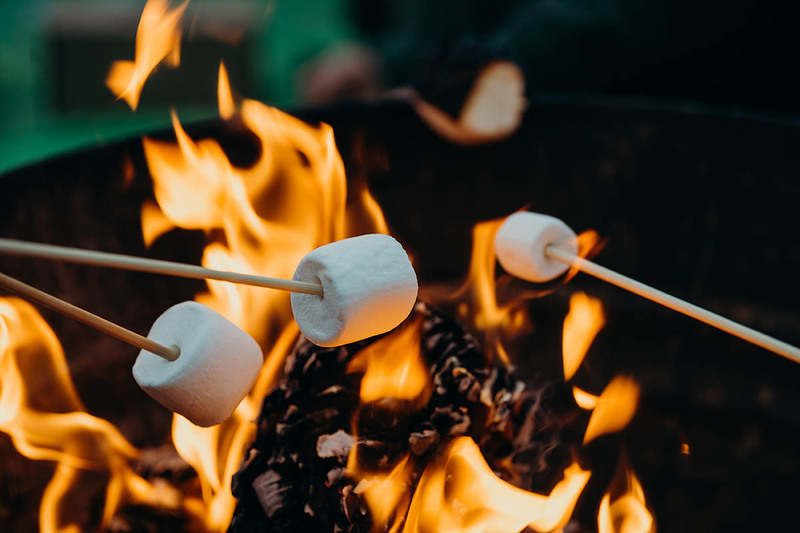 This workshop seeks to equip disciple-makers in asking people questions that no one else asks them, the kinds of questions that stir real transformation, healing, and deep biblical friendships. Pat Stream is one of FCC's elders. He is also a certified Biblical Counselor and leads FCC's Biblical Counseling training. Pennie Bixler is the founding leader of the women's ministry, SAMMY's. She also serves as in Biblical Counseling and as a co-leader of FCC's Hospitality Team. INTERESTED IN BECOMING A COVENANT MEMBER OF FAITH COMMUNITY? The Covenant Membership Class is our introduction to membership at Faith Community Church and is required for anyone wishing to pursue membership. This class will cover our purpose, mission, vision, discipleship paths, Missional Community, covenant and statement of belief. REGISTER online to attend the class and also for child care at fcchudson.com. Dinner starts at 5:45 p.m.
Free childcare available for children 9 years of age and younger. Be sure you have registered your children for childcare! Faith Community Church is an elder led body. We have both Family of Families elders and Missional Community elders, and we commend elder apprentices in waves. As men complete the elder vetting process and are ready, we commend them to the congregation for apprenticeship. 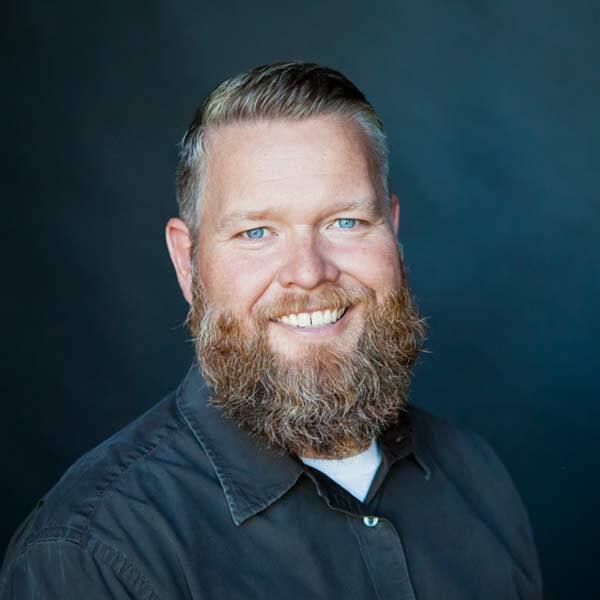 Josh Graham has been serving as an elder apprentice since 2017, and on June 10, Faith Community members will vote to affirm him as an elder for the River Falls Missional Community. Josh is a man who not only fulfills the character qualities of 1 Tim 3 and Titus 1, but he also lives out the discipleship principles articulated in our discipleship pyramid. He is seeking to help others bring them into their lives, as well. Also on June 10, we will be praying for Eric Lent to become an elder apprentice for Faith Community. Eric is a solid and beloved teacher, a servant leader, and has been in training for elder apprenticeship for a few years. He is excited to bring his skills and gifts to help FCC accomplish our mission of making more and better disciples of Jesus. You can pick up a copy of the FCC shepherding booklet this Sunday for more information about biblical shepherding and the names and photos of FCC’s elders and elder apprentices.